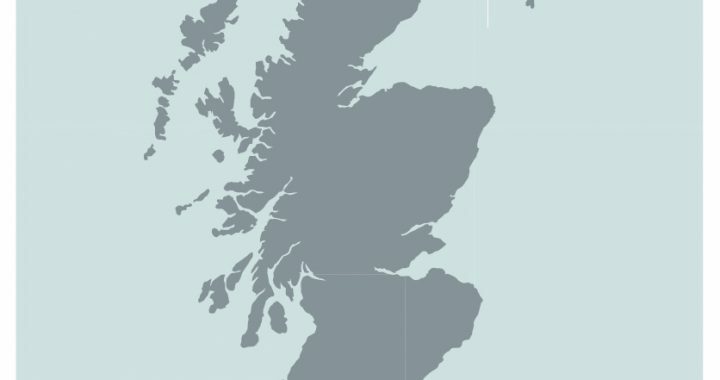 The Scottish Government has been consulting on a Social Isolation Strategy for Scotland, possibly the first in the world. Link to Strategy. Feeling we belong, that we’re part of something more than just us is an important part of being human – we need to feel connected. That means different things to different people but it’s how good we feel about our lives. We know our communities care. People often tell us they they are concerned about people with dementia and families being isolated and lonely and ask how they can help. The recent snow brought home for many of us how much we care about and rely on each other. We can all make a difference by understanding dementia and how it impacts on peoples’ lives and making making simple human connections every day. Getting a diagnosis of a dementia and living with a progressive condition is tough. Dementia makes it harder to keep normal life and relationships going because of its impact on memory and cognitive functions like planning and finding our way around. It can reduce our confidence and lower self esteem so we withdraw and avoid social contact and possible embarrassment. Social attitudes, a lack of understanding of dementia and stigma make it even harder. Dementia is one of the most feared and stigmatised conditions, sometimes described as being like ‘losing’ the person. 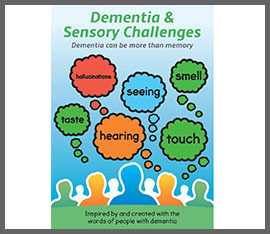 Fear creates barriers and distance, people with dementia try to hide their condition and may refuse to seek help. Friends may fall away unsure how to react or help. It’s a vicious cycle, but we can break it. Research shows most people adapt and find their own way of coping and maintaining normal life or create a new normal! Going to the shops, chatting to neighbours, walking the dog are important daily routines that help us stay connected and give life meaning. Some people have found that life with dementia has opened up new opportunities and talents they never expected. 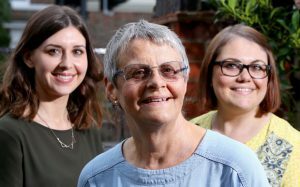 To find out more about what its like to live with dementia, read Wendy Mitchell’s new book: Someone I used to know . Its a remarkable insight into how dementia affected Wendy. And also have a look at the Dementia Diaries. You can also find out more about dementia from the Alzheimer’s Society or try an online course, for example this free one from Tasmania University: Understanding Dementia. There are other free courses available! Dementia increases the risks of social isolation and loneliness for people with dementia, their families and friends. Whilst we can’t cure dementias (yet) we can help people feel less lonely and isolated. The built environment and transport are critical. Dementia friendly places – inside and outside. A dementia friendly place feels comfortable and familiar, it’s designed so people can read the room and what it’s for – does it look like a garden or a kitchen? People can find their way around. With good design, places can be not just accessible but feel good and encourage people to get out and about. Resources for doing internal or external audits are here: DEEP AUDIT TOOLS. Getting around – walking is a very common pastime for many of us, we walk for pleasure, for a purpose, to be outside, to be social. There are lots of walking groups around and many are led by walk leaders who are trained to make walks dementia friendly. Check your local community centre or day centre to see if there are groups in your areas. Ageing Well has details of lots of activities. There are now more options for cycling – Beyond Boundaries and Cycling Without Age in Musselburgh. A big issue is driving. Some people stop driving when they get a diagnosis – some are told to, others feel ready, some challenge decisions and get their licenses back. Families often take over as much as they can. 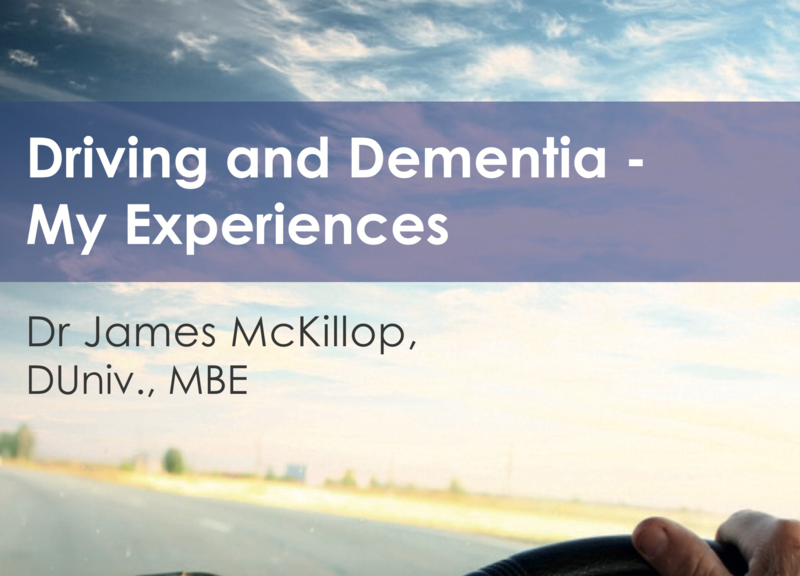 You can read about Dr James McKillop’s experiences here: Driving With Dementia. We have good bus services in East Lothian but there are gaps. Find out more from the East Lothian Bus Forum from RELBUS. But what makes the biggest difference to social isolation is people. Tackling social isolation is about every one of us, we’re all part of the problem and the solution. 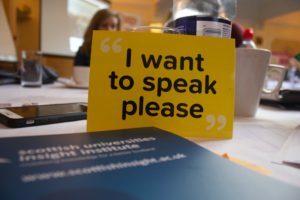 We know that fear of dementia and stigma create barriers between us and undermine friendships, and that understanding dementia goes a long way to building the bridges. But it’s what happens in real life that matters. The thing that makes the biggest difference is making a connection with another human being. 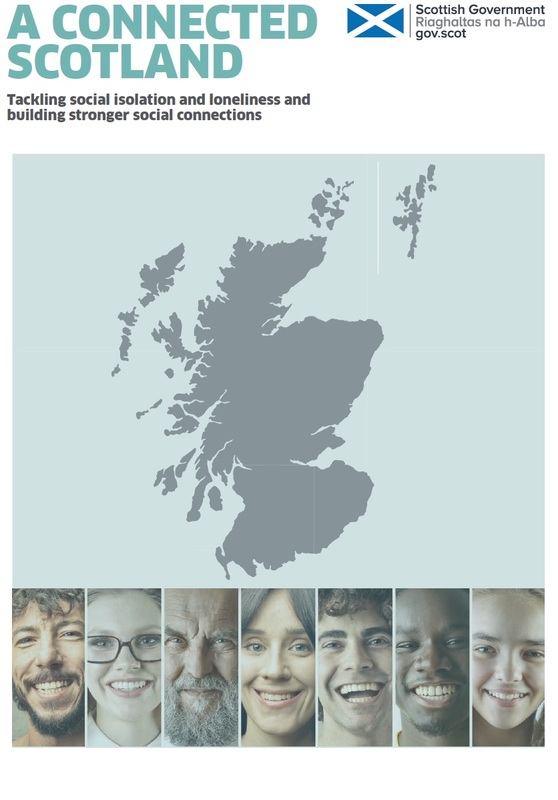 A smile and nod in the street, a chat at the bus stop or whilst walking the dog – simple, daily contact that tells us we exist, we’re part of the world. Add opportunities to come together, to get to know each other at coffee mornings, events, clubs and meetings and friendships form. People in care homes can feel separate from and outside our community, we need to include everyone. In the snow, we saw the community coming together, caring about each other, helping each other out, it was magical. We felt connected, connections break social isolation. Everyone can make a difference to tackling social isolation, there are many options! Smile and say hello, make time to chat to neighbours and in the street, find out about dementia, pop into the local care home. If you can do more and would like to support people with dementia, their families and friends be more involved in your community, get in touch…. Together, let’s make communities where we all live and not exist.